For several years we have supported the High Five Club. This is a small charity based in Kent which helps impoverished communities in wildlife areas of Africa. Its priorities are poverty reduction, education, health & nutrition, environmental and sustainable livelihoods. The leading lights in the charity are husband and wife team Dr Cheryl Mvula MBE and Manny Mvula. You can find out more on its web site. Below is more about what the charity is doing and events to support it. Dennis Usher’s 6 year old grandson Jack will be baking some cakes and selling them to raise money for the High Five Club on Saturday 3rd June starting at 10.00am. Apart from cakes and drinks to wash them down there will be fun and games for everyone to enjoy. Jack’s cousin Isabel (12 years old) will be helping Jack, and if anyone wishes to contribute any cakes they will be much appreciated. Please come and support Jack, Isabel and the work of the High Five Club while enjoying a piece of cake and having some fun. There will be an update in the May magazine and on the church notice sheets. High Five Club is raising money to construct 2 classrooms for a remote, rural school in Zambia. 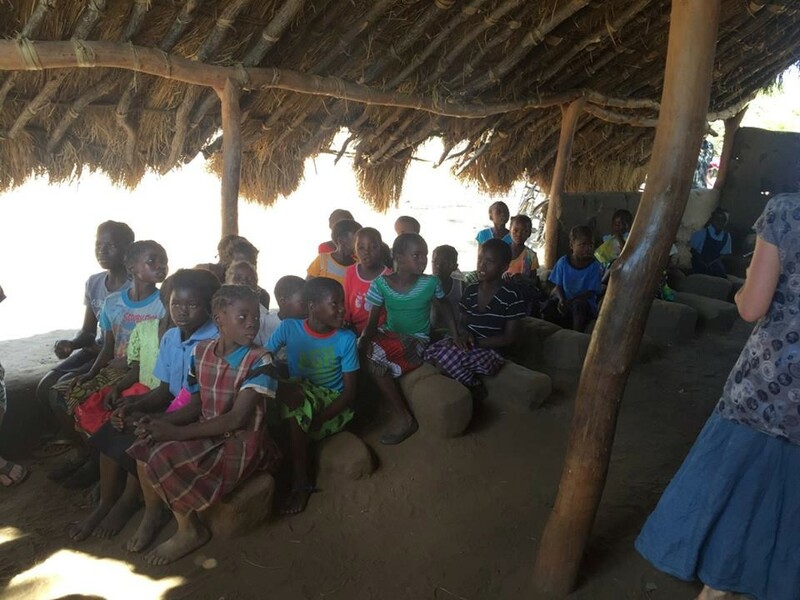 The school is for 80+ 5-7 year olds and currently consists of 2 mud-walled rooms with a leaky thatch roof. The kids sit on mounds of earth as chairs, and their desks are also made out of compacted mud. £8,000 could provide 2 brick-built classrooms along with desks, chairs and a blackboard. that line the wells. In this way ownership of the wells by the community is assured. Download file to find out more (a pdf file so you will need Adobe Reader).